Written on May 27, 2014 . Posted in Announcements + Updates, Architecture and Design. 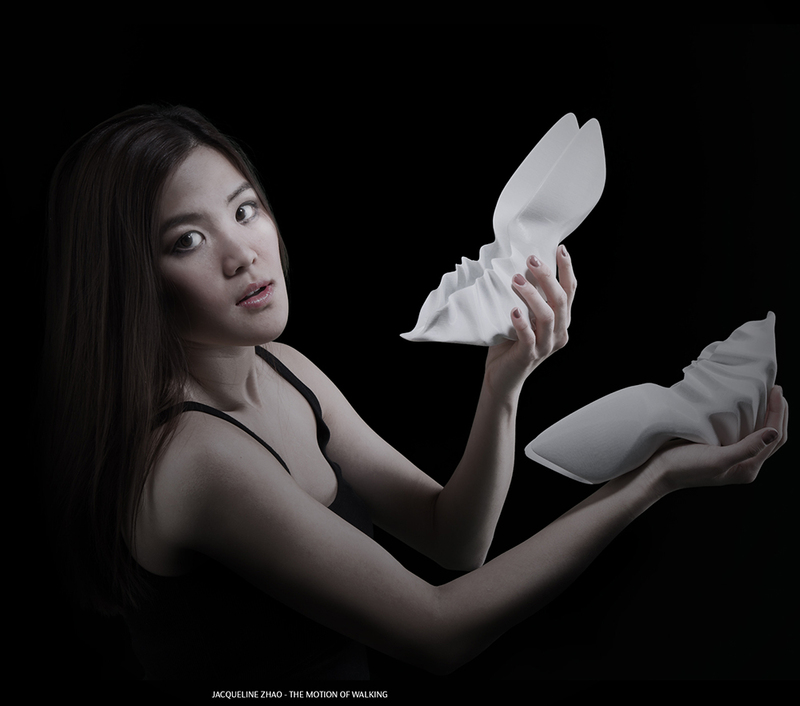 3D printed shoes designed by Jacqueline Zhao (INTAR 14) during the Wintersession course “Augmented Body” have been selected for the October 2014 issue of The Book. This year Neiman Marcus reached out to the premier fashion design schools from across the country to introduce their 2014 initiative, The Art of Fashion. Nominations from the faculty for student works were considered to highlight students and their “innovative project” in which they utilized new or creative materials to construct an article of clothing. Five winners will be featured in their publication “The Book,” which has a circulation of over 250,000. Course critics included Catherine Andreozzi (Associate Professor, Apparel Design); Niccolo Casas (Critic, Architecture); Ludovico Lombardi (Critic, Architecture); and Brian Kane (Critic, Film/Animation/Video).